With complete or partial dentures we can replace the missing teeth to benefit your eating and speaking ability and enhance your appearance. Complete Dentures are used when all the teeth are missing, while partials are for when some natural teeth remain. 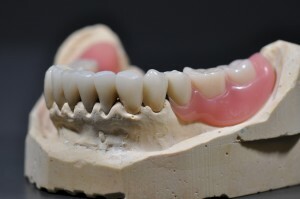 Partial Dentures on the other hand consist of replacement teeth attached to a pink or gum-colored plastic base, which is connected by metal framework that holds the denture in place in the mouth. Partials are used when one or more natural teeth remain in the upper or lower jaw. 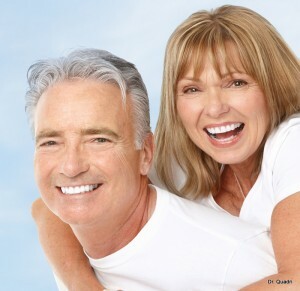 Palm Bay dentist Dr. Quadri will make sure your teeth denture fills in the spaces created by missing the teeth to prevent other teeth from changing position. Having our durable and secure dental appliances will surely bring back that confidence in your smile. Call us today at 321-312-3040 for an appointment.